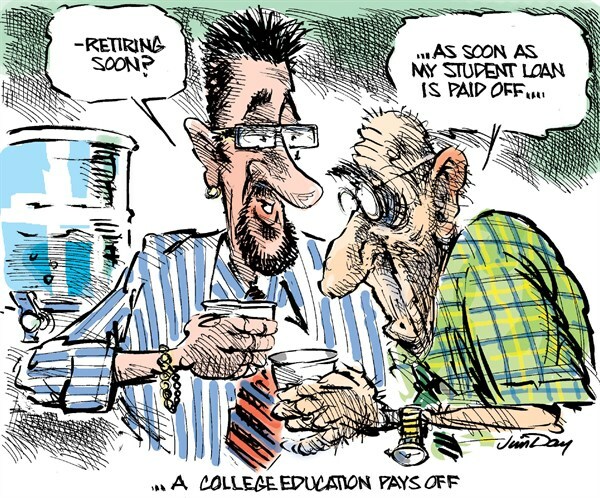 Yesterday, I found “It’s Time To Admit College Is Driven By Speculation — Not Investment” and the other was “Is The End Near for Public Education…?” from LinkedIn Pulse in my inbox. The claims by both seem overstated, but are they wrong? I believe they both can’t be completely right, yet to ignore their arguments would be folly. 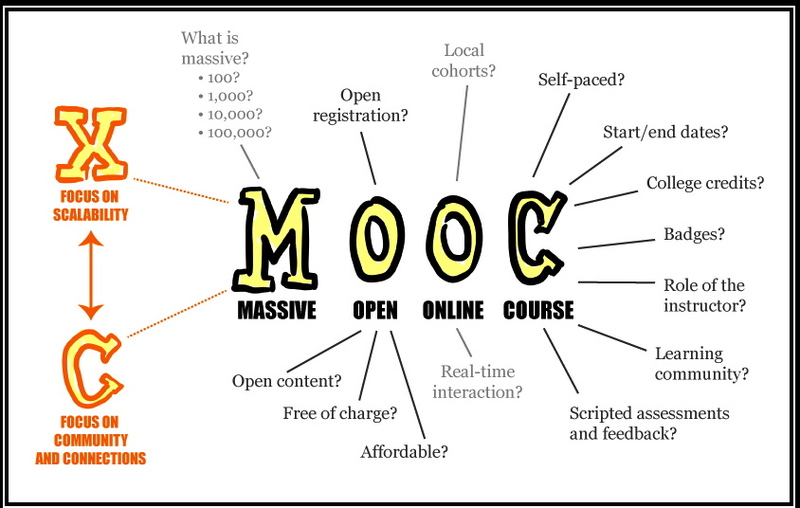 Have the Stanford MOOCs been a failure? Recently I had a bit of a debate with a coworker who said that the Stanford MOOCs have been a failure. While her point was more about why she didn’t think online education alone is good for our students with Highlands Community Charter School, which I don’t disagree with, I do disagree that we can judge MOOCs as a failure yet; especially the most open of them, such as the original Stanford MOOCs. It is a given that the 21st century economy will be driven by information and communication technologies (ICT), in which nearly the entire human-created world that surrounds us will have a basis in computer science. And while our high schools require a graduate to know about the underlying structures of biological and physical sciences, there is no consistent requirement to understand the underlying structure of the information world. While groups and legislators have worked to make computer science, not just computer literacy, being a high school graduation requirement in California, this has not yet come to pass. And possibly it is not the best answer to the problem. Instead, I’m going to suggest that a more appropriate solution, which can be implemented immediately, is to have high schools allow an introductory Computer Science course to be used as a graduation requirement alternative to Algebra I. Thought of the Day: Statistical thinking will one day be as necessary for efficient citizenship as the ability to read and write. 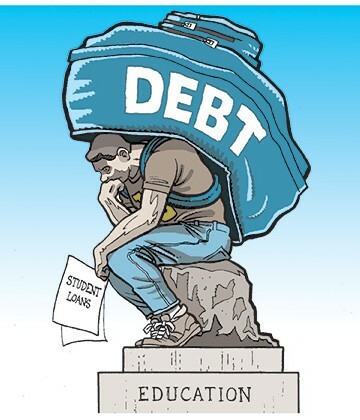 The news talks all the time about our national problem of student debt, and the problems with the cost of colleges. To solve this, there is a need for a simple measurement that is “objective” (or at least properly contextualized) that can be used determine whether a college (or program within a college) is likely a worthwhile economic investment. Virtual Onshoring has become a reality with Fiverr and other such sites. But a Virtual Onshored University will bring greater prosperity to the nation that builds it. . Recently, I wrote a tad about my Open Letter to Paul Kagame, President of Rwanda, Regarding Virtual Onshoring. I coined the concept of Virtual Onshoring in 2008, and to little surprise only 2 years later, Fiverr started. Fiverr has brought virtual onshoring into fruition, as it has been the perfect mechanism for entrepreneurs in developing nations to tap into the lucrative market of the United States and other more developed nations. Recently I received an email from a fellow scholar without a doctorate, who had read one of my blog entries about the University of South Africa (UNISA) and my work towards a doctorate. I was going to just respond back to him directly, but I am one to want “more effect for the effort”, so I’m posting my current thoughts about UNISA, South Africa, and the interconnection between them. I passed the CPACE to become a School Administrator! In February I took the California Preliminary Administrative Credential Examination (CPACE), which is a test that one can take to earn a California Preliminary Administrative Services Credential. And today, I found out I passed both the video and written tests! I already have a Designated Subjects Supervision & Coordination Credential, which is good for adult education and career technical education (and in charter schools a credential is not required). In gaining a full Administrative Services Credential it now gives me more future options (such as principalships or directorships within a traditional school district), and brings a little more “legitimacy” to being the Coordinator of Academics with Highlands Community Charter School. So while I’ve had to delay getting my doctorate for at least another year (due to UNISA’s bureaucracy and lack of time), this gives me an educational accomplishment for the year!